Hi everyone! Today I want to show you my first muffins recipe. I’m very proud of it because it is always a success. Fill muffins cases 2/3 full ( I use sylicon muffin cases) and put a small piece of dark chocolate in the middle of each one. Melt 100 gr of dark chocolate in bain marie (Boil 1-2 cups of water in the bottom of a bain-marie or small saucepan, then set it to simmer. Place the chocolate in a bowl or pan above this simmering water. Stir until fully melted ). Dip the top of each muffin in the melted chocolate, then in the chopped nuts. I hope you’ll like this recipe. See you soon! Ciao a tutti! 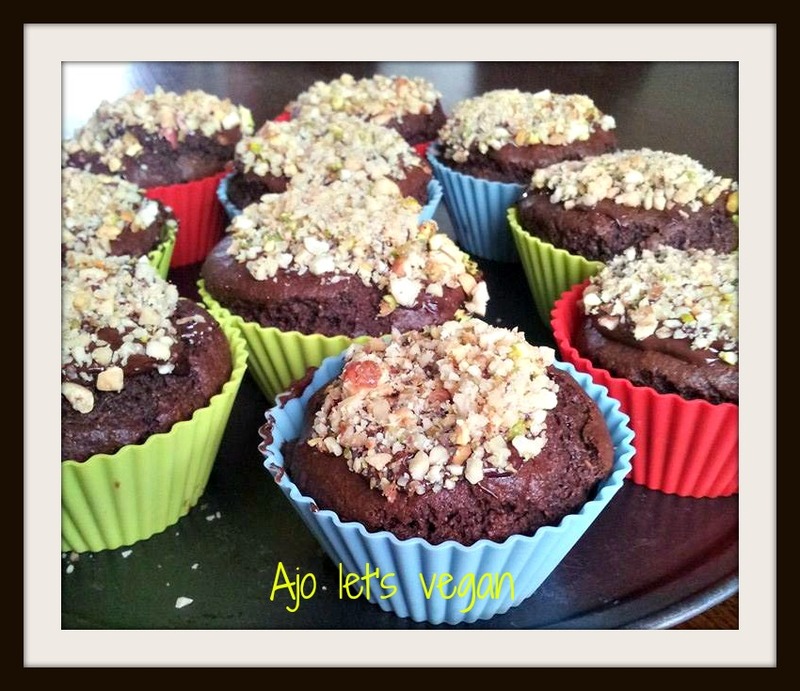 Oggi vorrei condividere con voi la ricetta di questi buonissimi muffins al cacao ricoperti di cioccolato fondente e un mix di granella. 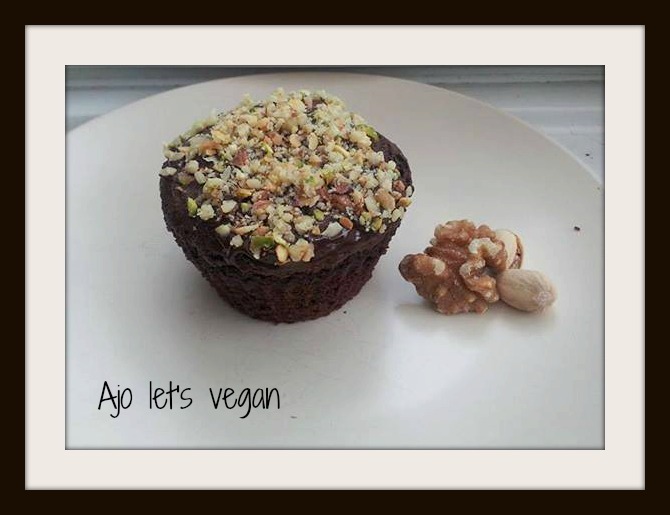 Mettere un piccolo pezzo di cioccolato fondente dentro ogni muffin.